Hey there you guys! I mean girls... cuz these hairstyles are mostly for girls, unless you have long hair and just *slap* sorry! Okay anyways I'm always excited sharing hair tutorials with you ladies because you always leave great feedback and I love hearing about where you've worn a style! So what do you think about this one? Step 1: Start by teasing your hair in the back a bit for some nice voolume (view tutorial here). 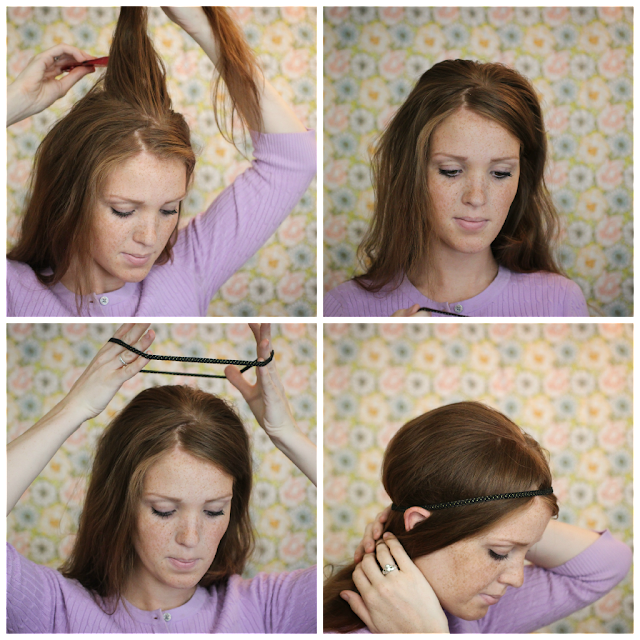 Make sure to smooth over the teasing first, then add a headbanc right on top, smoothing hair underneath. 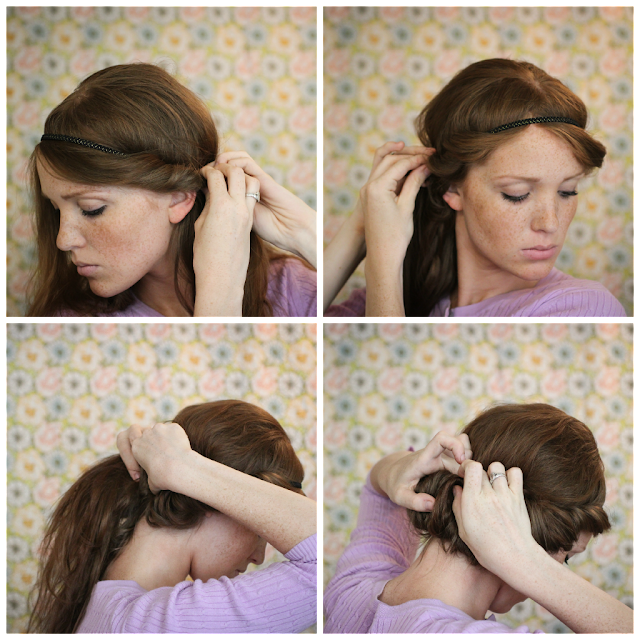 Step 2: Begin tucking your hair into your headband from the top down by gently swagging the hair back towards your ears and then tucking down inside! I like to work with the first bit of hair in front of my ears, then do the same thing on the other side before moving to the back. 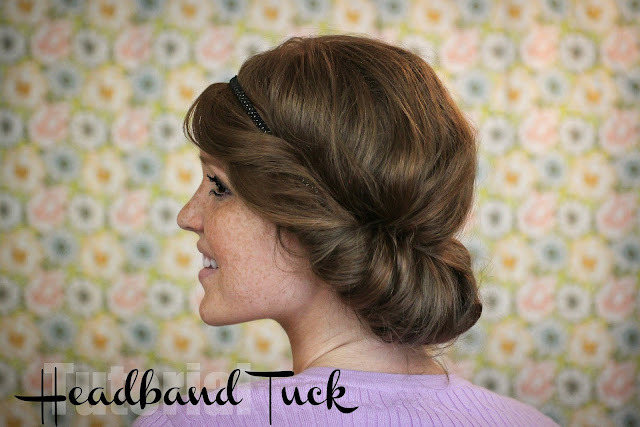 Step 3: Take the rest of your hair in smallish sections and keep tucking over and down behind your headband, making sure to keep your 'bun' full and fluffy. The messier it is the more naturl and easy it'll look! Tug the crown of your head out a bit if needed, give a spritze of spray if you like, and that's all there is to it!! How could that get any easier I mean really? Notes: If your hair is freshly cleaned (aka no product) it probably won't grip together as well, so feel free to pin a little here and there! Also if your hair is pretty straight, you'll want to give it a little curl time before proceeding with this hair style, this will add more movement and forgiveness where the style is concerned. 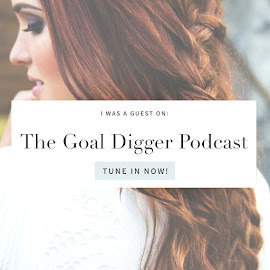 If you decide to give this a try and a pic of you appears on your blog somewhere, let me know because I'd love to link back to your post here! 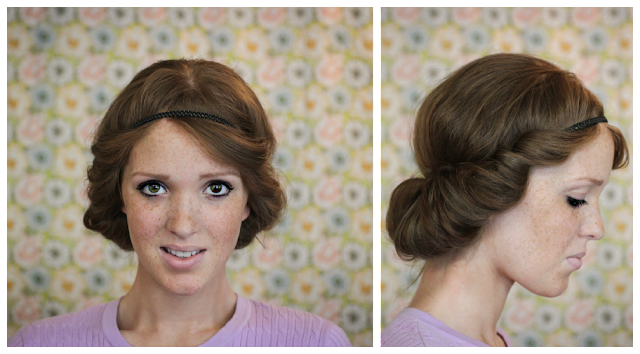 I love doing this hairstyle!! Its perfect for summer because its gets all your hair off your face on neck but still looks super cute!! Oh, this one is cute!! I am going to give this a try for sure!! Oh man, this is so cute! It's like medieval chic. 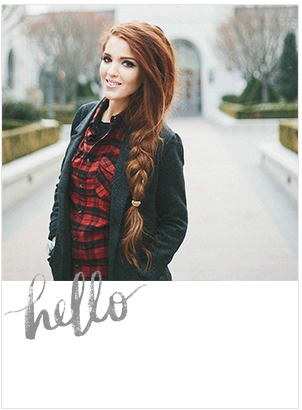 I'm following you back, your blog is so amazing! Really useful tutorial :) Thank you ! Love this! I also love that she has long hair, a lot of the time when I see a hair tutorial like this it's with someone with short hair and I think, well that's why they can do that. Thanks, you have given me the needed inspiration, I'll definitely be trying this. your blog is very interesting.. now i follow you back! Wow! Amazing!!!! Yep I am your new follower!!! thanks for your visit...this blog is amazing! 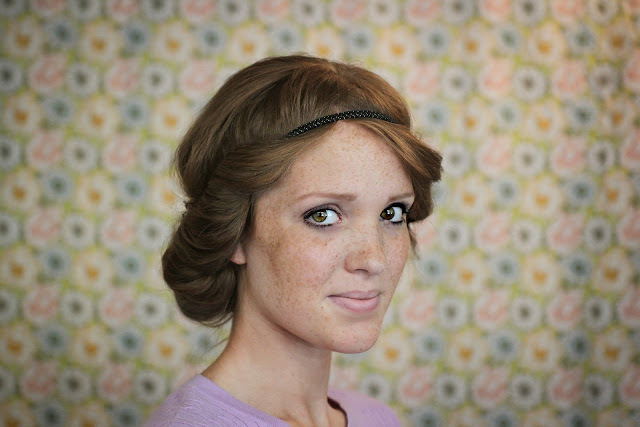 was really looking for some hairspiration this is perfect!!! you look like a maid marion!! 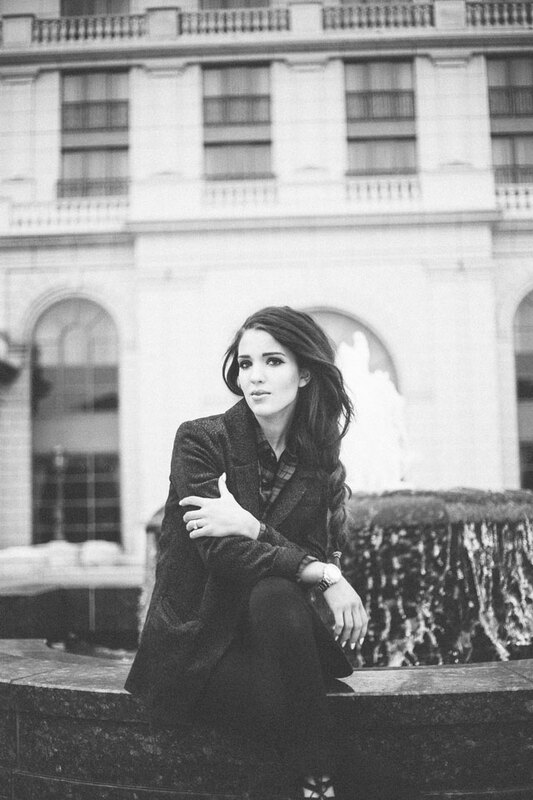 seriously beautiful shots hun!! 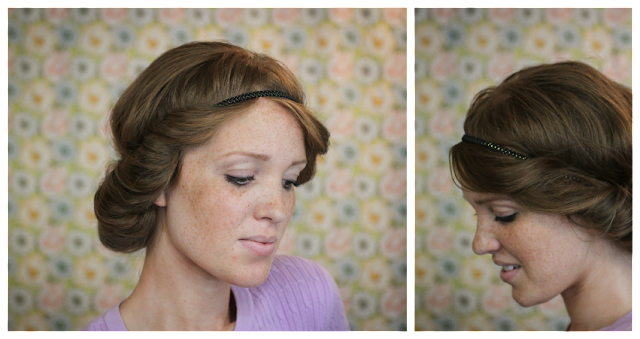 brilliant tutorial will def be popping into Boots to get a hairband like this so I can do it!!! Great tutorial, like the rest of them to! So pretty! And just a little tip for anyone reading this, if you style your hair this way when it is damp and leave it in overnight your hair will be in ringlets when you take it out. Then you can leave them as they are or comb them through for soft curls/waves. I found the same thing and you can even leave this in for a day style and take it out of a quick change to curls for an evening dinner or party, perfect for when time is of the essence.